GemFind, the leading technology provider to the jewelry industry, is happy to welcome Ice Diamonds, the newest vendor to add their collections to the industry’s fastest growing social product network. 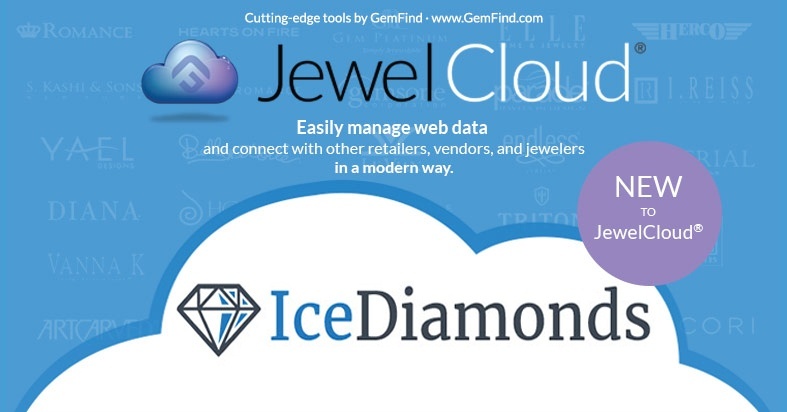 With JewelCloud®, Ice Diamonds can better reach their retailers and feed products straight to retail websites, allowing retailers to provide a full, current inventory to their customers. Ice Diamonds was established in 2002. Their company only sells natural and conflict-free diamonds that are of the highest quality. Ice Diamonds specialize in oversized stones, the ideal cut, GIA, IGI, and EGL USA. Their diamonds are chosen from rough, uncut materials that are personally customized to ensure the highest quality. Because they guaruntee the quality of their stones, they offer a 30 day return policy if you are not satisfied with your purchase. Being in the business for 16 years, Ice Diamonds' main priority is customer service, and they believe in their products, knowledge of stones, and fair pricing for their customers. Contact GemFind if you would like more information on Ice Diamonds! Add Ice Diamonds to your website today! If you need help managing your vendors on JewelCloud, check out our help docs. If you need further assistance, please call us at (800) 373-4373.